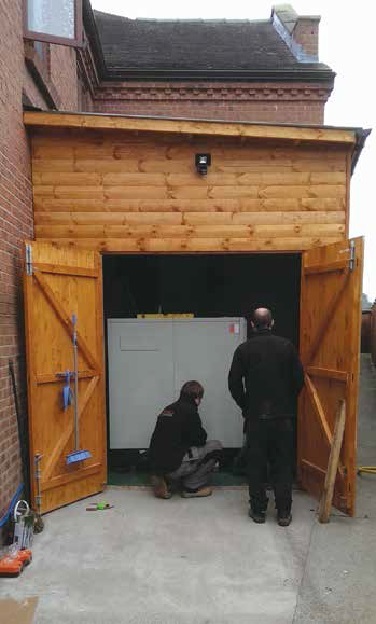 heated with E-COMPACT biomass boiler. After months of researching which biomass boiler to select, Mr. Paul Subbiani, Proprietor of the Albright Hussey Manor Hotel, chose the E-COMPACT 199kW boiler. 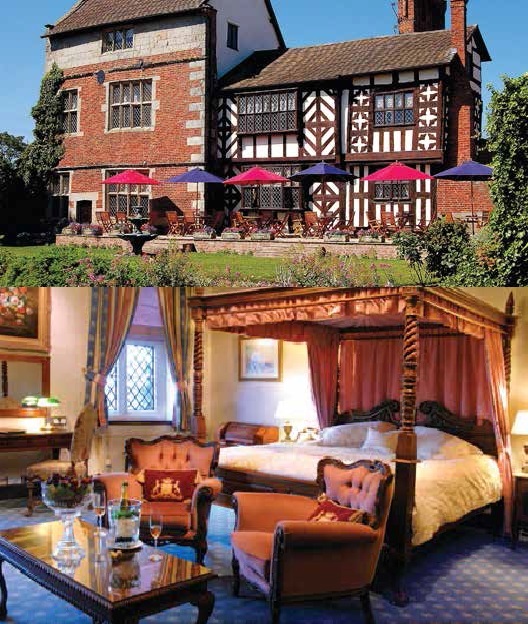 The hotel is a Grade 2 Listed classic country house and one of only two 4-Star AA hotels in the area. The building dates back to 1524 and has 26 beautifully appointed bedrooms. The owner was spending £20,000 p.a. on oil to heat the hotel. By switching to wood pellets the owner will save approximately £10,000 on fuel costs. On top of that the Renewable Heat Incentive (RHI) will pay the owner approximately £22,000 p.a. so the savings are quite spectacular for this family owned hotel. The E-COMPACT 199kW Boiler provides all the hot water and heating needs of the hotel. Space only allowed for an 8 tonne fuel store so the owner will receive 8-9 pellet deliveries p.a. Mr Subbiani built a purpose built plant room adjacent to the hotel and clad the exterior with wood in keeping with the Tudor design of the hotel.